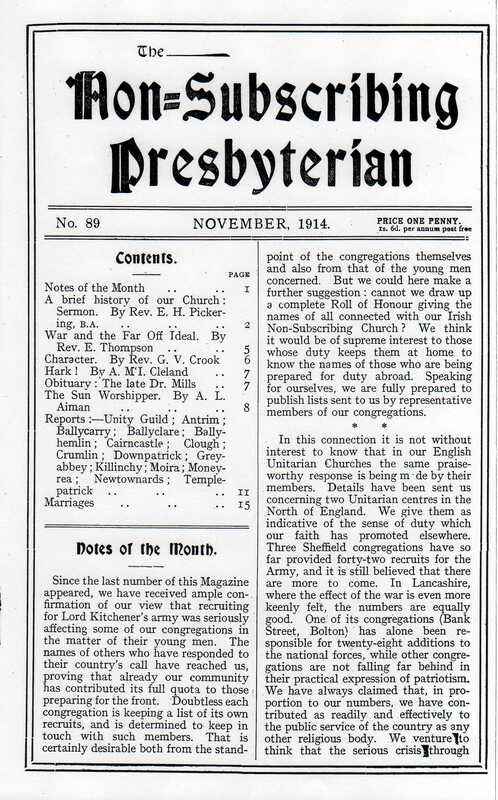 In November 1914 the Non-Subscribing Presbyterian magazine announced it was going to draw up a list of all the members of the various Non-Subscribing Presbyterian churches in Ireland who were serving with the armed forces. The first list appeared the following month with further names added in January 1915 and a new full list published in March 1915. The last full list was published in January 1916 with some additional names added in February 1916. 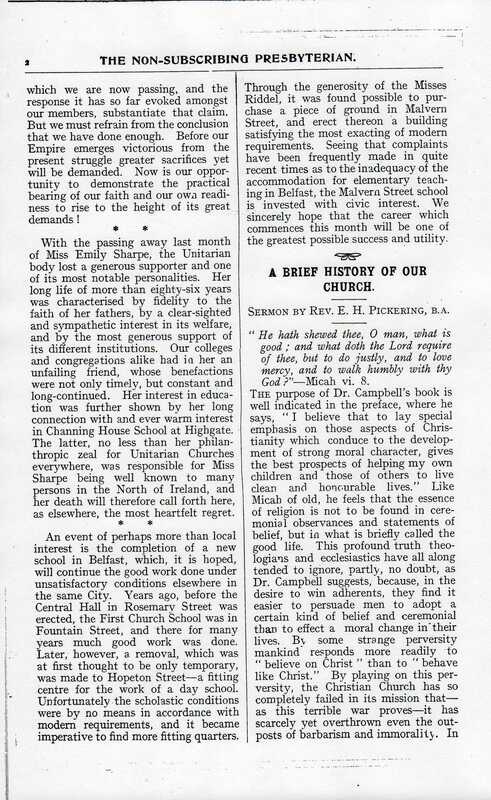 Althogh the war was to continue for nearly two years more there seems to have been no attempt made to bring the roll up to date, at least in the pages of the magazine.